It's hard not to realize that social networking tools are an important part of today's connected world. This is also true within organizations where many companies have or are considering implementing an intranet platform. For a truly successful implementation of intranet software, having the right approach is critical. These tools are not technology deployments, but rather, they are relationship tools. This is the approach to be taken if an organization wants to reap the greatest benefit. How do you ensure the implementation is less technology and more relationship-focused? Here are 7 ways to make a success of intranet software deployments. 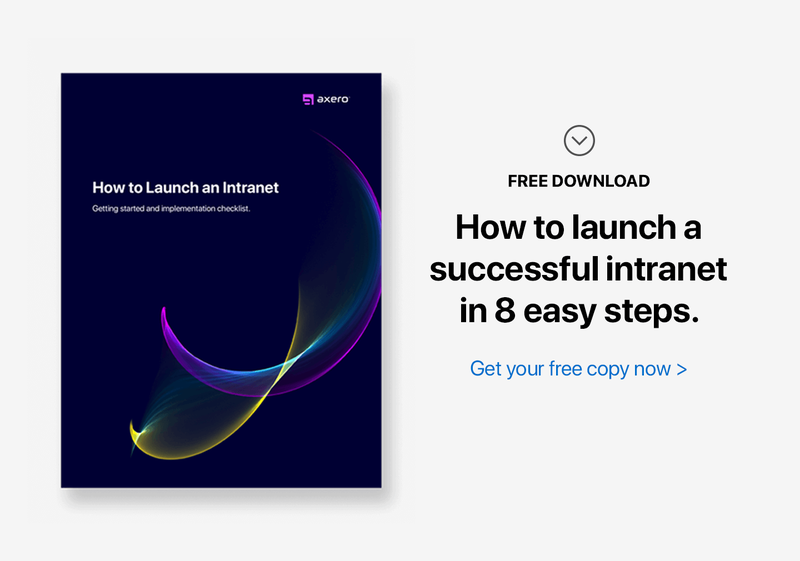 For any successful intranet launch, the management team has the power to make or break. These teams are the motivations behind any adoption, implementation, and continued usage. It goes without saying that their lack of support can have the opposite effect. As a result, any deployment starts with top management. Modern businesses are well aware of the value of collaboration. However, most of these businesses struggle with managing collaboration technologies. 80% of executives understand the value of collaboration but only 25% describe their organizations as truly collaborative. One way to bridge this disconnect is to analyze pre-existing forms of collaboration and see how these can be improved via scalable social intranet technology. Understanding what social collaboration software can do and how they are revolutionizing access to knowledge, expertise, and increasing engagement within enterprises can motivate decision makers and nudge them in the right direction. Many organizations struggle with measuring intranet ROI. They are obsessed with every metric that comes in form of a Like, a share, a comment, or a following. While this is one way of measuring the value you are offering, there are more accurate ways of measuring value creation within organizations. Setting goals is one effective way of determining how effective your intranet software deployment has had. Has your company culture been transformed by these tools? Has internal email and meetings volume been reduced? Have specific business processes been improved? Has collaboration within departments and across the organization as a whole improved? These are just some of the ways to measure value and justify the investment. You can learn more of these in our free eBook, 21 Ways You Can Benefit From Social Business Software Today, where we cover a whole slew of ways you can understand the ROI of social. Once the decision to implement intranet software has been reached, it is important to see how it can be adopted without "forcing it." Reward systems where users are given badges or recognitions based on milestones reached has been shown to be a great motivator. You can, for example, have a leader board where the most engaged employees are listed and how they compare with others. If certain tasks need to be completed, such as taking online classes, these can be displayed to the user as a percentage to help them see how far along they are in mastering the software. Intranet gamificaiton and reward systems are especially popular among early adopters and with a younger workforce. They are also a good indicator of the rate of take up and how far along the organization is in fully implementing and getting employees onboard. When it comes to social, you've got to suit up and play the game. You cannot force social, otherwise it will leave a bad taste in your mouth. Integrating intranet software into pre-existing systems is one way to get seamless adoption. While it may take a while, sometimes years, to get it fully integrated, it is more likely to stick and bring benefits over the long run. New employees and those moving to different departments within the organization are most likely to get onboarded easily. It is much easier to implement best practices and new communication channels right from the start than having to introduce these later in the work process. Company social activity can help break down barriers within organizations by empowering employees to collaborate, share ideas and knowledge, and interact with others. By providing access to company knowledge and expertise, employees avoid the structure and hierarchy to reach the experts within an organization. This, in turn, allows them to search and propose ways to efficiently improve processes. In any intranet software implementation, there will always be early adopters who quickly learn the system and are enthusiastic to start using it immediately. By appointing these people as community managers, you can enable them to moderate and encourage further intranet adoption and responsible use. In addition, they can keep the initial enthusiasm going and help recruit more users into these social spaces. Community managers can also be used to direct conversations and pick workable solutions from conversations. They can aggregate usage statistics and find solutions to problems within the network. Their influence can then be used to spearhead campaigns, encourage knowledge sharing, and introduce new features whenever they become available. When intranets are first deployed they are usually greeted with high enthusiasm. In time, less and less participation eventually results in only a "core" group engaged users. By having the above points clearly in mind during implementation, the initial enthusiasm can be maintained and grown. Only then can organizations truly benefit from intranet software.